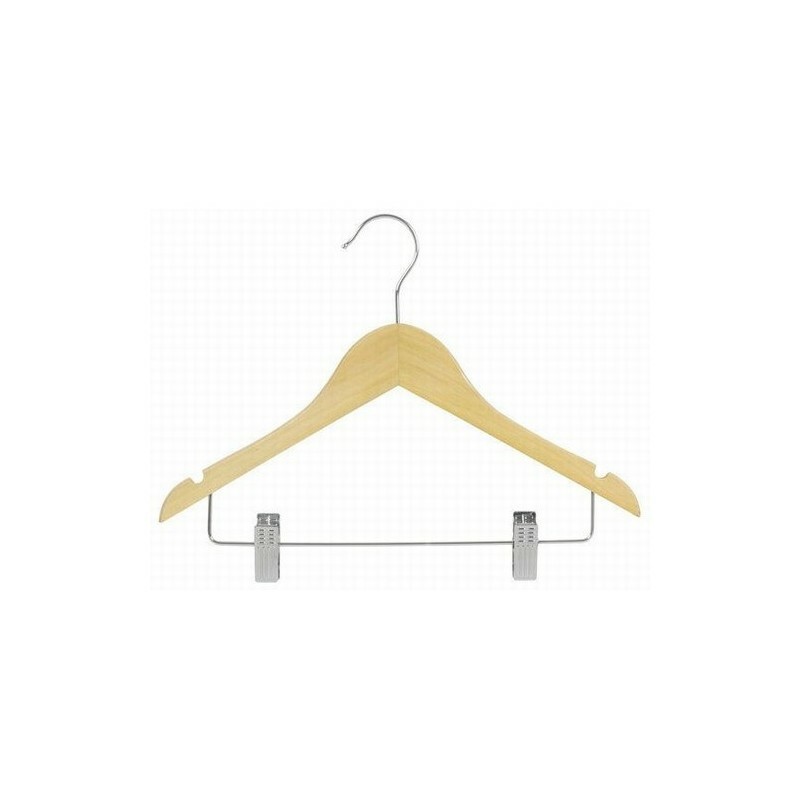 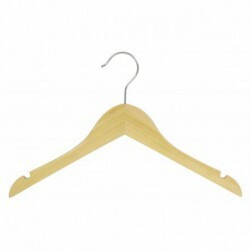 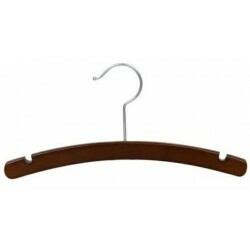 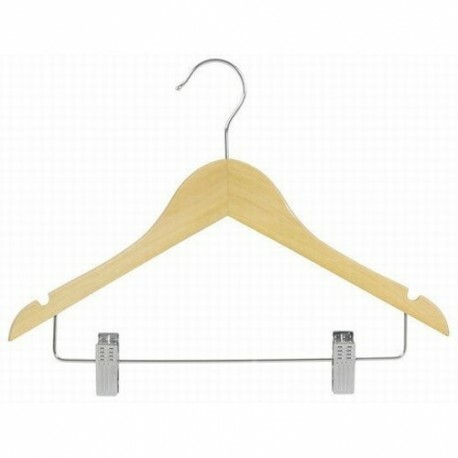 These 14" traditional hardwood suit hangers feature a space-saving flat body, two notches for the option of hanging straps and a polished chrome swivel hook. 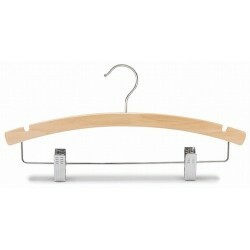 This style features a set of polished steel clips with anti-stain clear cushions for hanging. 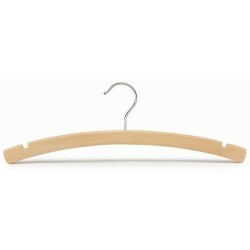 Finished with a double coating of clear lacquer.